This year’s Champion of Champions finalists consisted of Les Gillett, Danny Brown and Tom Doig. Les Gillett was the form player going into the final event. Gillett won 4 events during the Winter Season campaign, won 8 events throughout 2018, won the most events out of the 3 competitors going into the Champion of Champions and had the highest win percentage out of the 3. Danny Brown played the most amount of games out of the 25 participants during the whole of 2018. Going into the Champion of Champions, Brown won 6 events in 2018 and claimed 3 event wins during the Winter Season. His win percentage was 9% higher compared to 2017, 10% higher compared to 2016 and 13% higher compared to 2015. 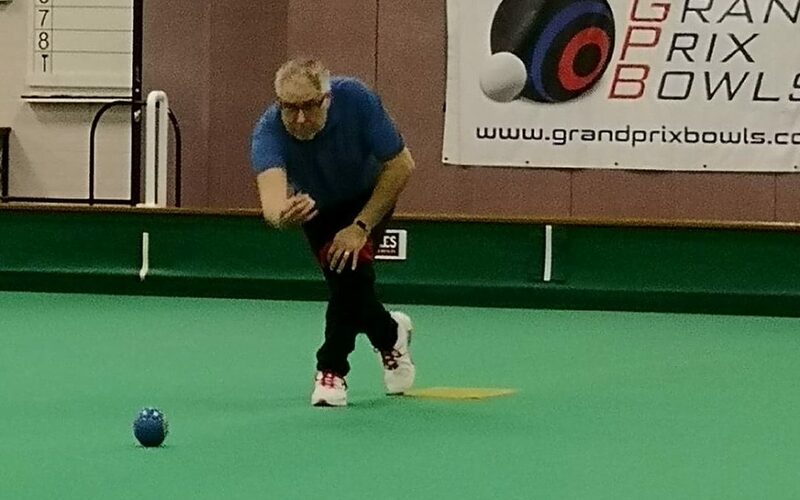 Tom Doig made his debut in the Grand Prix Bowls this year. Doig has been very impressive throughout 2018 and this showed by finishing in the top 3 (matching both Gillett and Brown on points) to qualify for the Champion of Champions. All 3 of Doig’s event wins came in the Winter Season. Doig made the perfect start on the day with a victory over Danny Brown in the opening game. It’s never easy playing back to back games and Les Gillett was impressive in game 2 which saw a 5-4, 7-3 victory to Gillett over Doig. The 3rd game was between Gillett and Brown, which ended up going to a tie-break set. Brown dominated set 1 and Gillett dominated set 2 but it was Gillett who was victorious in the tie-break. Doig took on Brown in a repeat of game 1 but this time it was Brown who held his nerve at the end and won in the tie-break set to put pressure on Doig for his final round-robin game against Gillett. In game 5, Gillett narrowly defeated Doig 4-4, 6-5 to guarantee his spot in the final. In the 6th and final game, Brown needed a win against Gillett to guarantee a showdown with Gillett in the final and he just got the victory required with a 6-3, 8-7 win. The final ended up being one of the longest games in the competition’s history and the most enjoyable. It really could’ve gone either way, but it was Brown who again, didn’t buckle under the pressure right at the end to be crowned the Champion of Champions winner, 2018.